I'm not interested in the "altered reality mode" posed by OP but I'm sure there are a few COD players out there that would love this in MWO. Part of the fun of any MW game is the challenge of balancing how different systems work and interact both within the mech and with the external environment. 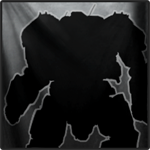 MWO is a sim, yes an arcade sim, but still a sim at heart, and as it should be.